It is important to discuss with your client your intention to conduct social engineering attack, whether internal or external before you include them in a penetration test’s project scope. A planned SEA(Social Engineering Attack) could be traumatic to employees of the target company if they are made aware of the findings in an uncontrolled way because they might feel just as victimized as they would if subjected to a real attack. If you are caught during this activity, you most likely not be treated as if you’re “on the same team” by the intended victim. Often, the victim feels as if they’ve been made a fool of. The client should be made aware of the risks associated with contracting a third party who plans to overtly lie to and manipulate organization employees to do things that are clearly against the rules. That said, most companies do accept the risk and see the value of the exercise. Secrecy must also be stressed and agreed upon with the client prior to engaging in a covert exercise like. If the employees know that there be a test of any kind, they, of course, act differently. This will prevent the penetration testing team from truly learning anything about the subject organization’s true security posture. Like all penetration testing, an SEA(Social Engineering Attack) begins with footprinting activity and reconnaissance. The more information you collect about the target organization, the more options become available to you. It’s not uncommon to start with zero knowledge and use information gained through open sources to mount a simple SEA(Social Engineering Attack) get the company phone directory, for instance, and then use the new knowledge to mount increasingly targeted and sophisticated SEA(Social Engineering Attack) based on the newly gained insight into the company. While dumpster diving is a classic example of a zero-knowledge starting point for finding information about a target, there are more convenient alternatives. Google is probably the most effective way to start finding names, job titles, contact information, and more. Once you have a list of names, start combing through social media sites such as Facebook, LinkedIn, MySpace, and Twitter. Finding employees with accounts on popular social media sites is a common practice among social engineers. Often, those employees connected to other people they work with and so on. Depending on their security settings, their entire network of connections may be visible to you, and you may be able to identify coworkers easily. In the case of business networking sites like LinkedIn, the information collection is made even easier for you because you can search by company name to find past and present employees of your target. On any social networking site, you may also find a group of current and ex-employees of an organization. Industry-specific blog and board sites also yield useful information about internal employee issues currently being discussed. Often these posts take the form of anonymous gripes, but useful for demonstrating insider knowledge when striking up a conversation with your target. Using such passive methods to collect as much information about an organization as possible is a great place to start formulating your attack. We’ll cover some useful ways to use social media in an actual attack scenario later in this chapter. and opportunities that may arise. At the very least, two people needed for some of the examples detailed later in this chapter. While natural charisma is a prized resource, a practiced phone voice, and the ability to discuss convincingly a wide variety of not necessarily technical social topics get you pretty far down the road. The ability to write convincingly also is important, as is your physical appearance should you perform face-to-face attacks or impersonations. It is important to discuss with your client your intention to conduct social engineering attacks, whether internal or external before you include them in a penetration test’s project scope. A planned SEA(Social Engineering Attack) could be traumatic to employees of the target company if they are made aware of the findings in an uncontrolled way because they might feel just as victimized as they would if subjected to a real attack. If you are caught during this activity, you most likely not be treated as if you’re “on the same team” by the intended victim. Often, the victim feels as if they’ve been made a fool of. The client should be made aware of the risks associated with contracting a third party who plans to overtly lie to and manipulate organization employees to do things that are clearly against the rules.That said, most companies do accept the risk and see the value of the exercise. Secrecy must also be stressed and agreed upon with the client prior to engaging in a covert exercise like. If the employees know that there be a test of any kind, they, of course, act differently. This will prevent the penetration testing team from truly learning anything about the subject organization’s true security posture. Like all penetration testing, an SEA(Social Engineering Attack) begins with footprinting activity and reconnaissance. The more information you collect about the target organization, the more options become available to you. It’s not uncommon to start with zero knowledge and use information gained through open sources to mount a simple SEA(Social Engineering Attack) get the company phone directory, for instance, and then use the new knowledge to mount increasingly targeted and sophisticated SEA(Social Engineering Attack) based on the newly gained insight into the company. who their personal assistants are, and when they’re traveling or on vacation might not seem worthwhile, but it is. Let’s say the goal is to obtain the internal employee directory. By knowing when someone is out of the office, you can call their assistant and claim that you are a consultant working with their boss and that you need the organization directory printed out and faxed to you at another location within the company. Since the assistant will be faxing internally, they won’t see any risk. At this point, they may even ask you if they can e-mail the directory to you, in which case your SEA(Social Engineering Attack) is a success, but let’s assume they don’t ask and fax the directory to the other office you claim to be working in. You call that office, give the story again, and ask that the fax is sent to you at home. You then give them a public fax number and retrieve your fax. This is a prime example of the escalation of trust. The first victim felt no risk in sending something internally. The second victim felt comfortable with the pretext because you demonstrated knowledge of internal operations, and they don’t see any harm in passing along a directory. With the directory in hand, you now use caller ID spoofing services such as Bluff My Call to appear to be calling from inside the organization. The next move is up to you! If the company is like most companies, its network user IDs aren’t hard to figure out, or maybe you’ve already figured out that format from the IT guy you tried to sell an identity management product to on the phone or over a game of pool at the bar you know he goes to from his overly permissive Facebook page. You can now call tech support from inside and have a vacationing VP of HR’s password reset so you can use the virtual private network (VPN) remotely. Planning an attack takes time, practice, and, above all, patience. Since you’re the attacker, you’re limited only by your imagination. Your success or failure in an SEA(Social Engineering Attack) depend on your team’s ability to read the people who work at the target organization and devise an attack or series of escalating attacks that are effective against them. Keep in mind that it’s a game of capture the flag, and your goal is to access sensitive data to demonstrate to your client how it can be done. Sometimes the goal is obtained without any traditional technical hacking, by using legitimate access methods and stolen or erroneously granted credentials. In other cases, a stolen backup tape will yield everything you need. In most cases, however, it is the combined effort of getting the team hacker(s) in position or delivering the desired remote access payload behind the network border controls. Your success or failure in a SEA(Social Engineering Attack) depend on your team’s ability to read the people who work at the target organization and devise an attack or series of escalating attacks that are effective against them. Keep in mind that it’s a game of capture the flag, and your goal is to access sensitive data to demonstrate to your client how it can be done. Sometimes the goal is obtained without any traditional technical hacking, by using legitimate access methods and stolen or erroneously granted credentials. In other cases, a stolen backup tape will yield everything you need. In most cases, however, it is the combined effort of getting the team hacker(s) in position or delivering the desired remote access payload behind the network border controls. As your SEA(Social Engineering Attack) become more sophisticated, you may also be required to set up phony websites, email addresses, and phone numbers in order to appear to be a legitimate company. Thanks to the proliferation of web-based micro businesses and pay-as-you-go mobile phones, this is now as inexpensive as it is trivial. You may also be required to meet face to face with the intended victim for certain types of the SEA(Social Engineering Attack). 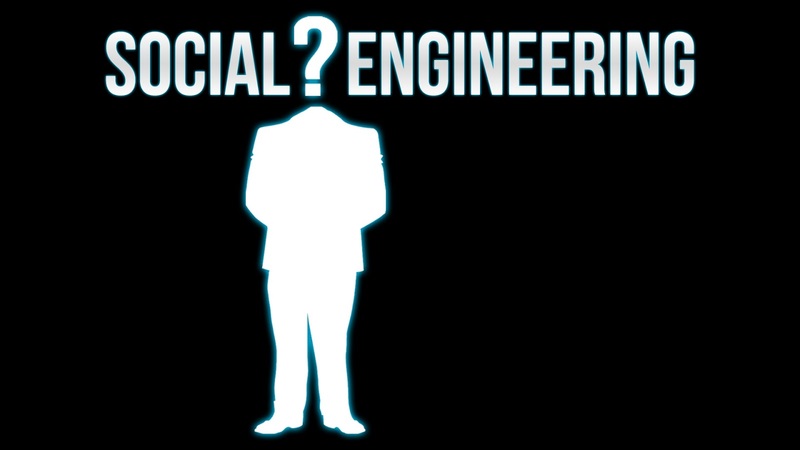 Social engineering attacks cover a wide range of activities. Phishing, for instance, is a social engineering attack (SEA). The victim receives a legitimate-looking e-mail, follows a link to a legitimate-looking website they’re familiar with, and often divulges sensitive information to a malicious third party. As end users are made aware of such activities, the attacks generally must become more sophisticated in order to remain effective. Recently, attacks of this nature have become narrowly targeted at specific companies, often mimicking internal system logins and targeting only individuals working at the subject company. It’s an electronic numbers game conducted from afar, and the reason it is so common is that it works! Never reveal your passwords or login credentials to anyone. If a legitimate technician needs to access your account or information, they should be able to do this without needing you to give them your details. When you enter your details on a website, make sure the URL is correct. Never open strange-looking files or attachments, even if they come from someone you know. Many infamous viruses such as ‘I Love You’, the NeverQuest Trojan or Blaster have used social engineering to spread to millions of computers, and other scams, including the Whatsapp premium messages scam, also use this method to gain the trust of the victim.